The Ins and Outs of Security Turnstiles: Advance Systems Access Control Solutions offers a comprehensive inventory of security turnstiles, from standard three-arm waist-high systems to full-height turnstile gates and even sophisticated barrier and barrier-free Optical security turnstiles. 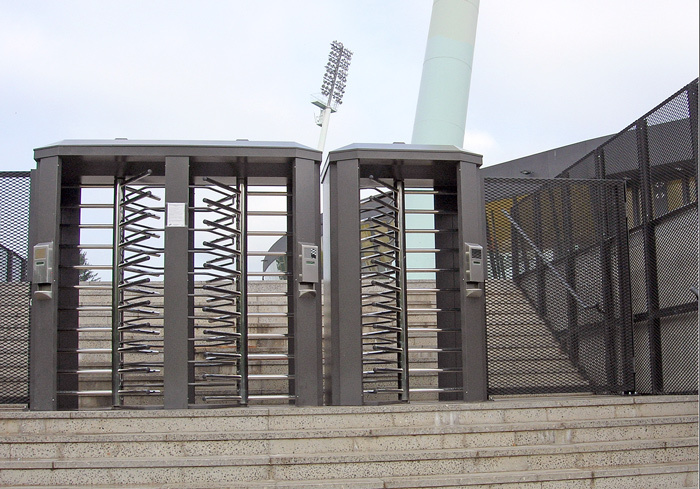 Security turnstiles are relied upon by a plethora of firms, industries and areas of commerce for their sheer maximum security abilities – of the more common security turnstile varieties are the full-height types, able to be engineered to meet all security and control requirements while being configured as stand-alone units or as part of an integrated system. Normally available in a number of finishes including stainless steel, powder coat or a hot-dipped galvanized style, these units can be fitted by Advance Systems Access Control Solutions for any application boasting cutting-edge technology and features. • Full-Height Single – Available in such finishes as Classic Stainless, Galvanized or a rainbow of colours, these provide style and security with a fully customizable touch for unique needs. • Full-Height Tandem – Available with the same features and finishes as the Single. • Full-Height Manual Passage Gate – Matching Passage Turnstile Gates and Matching Barriers boast manual and electronic locking access gates and custom filler barriers to match any of our full-height turnstiles. • Rapid pedestrian advancement/movement and barrier-free ADA access while preventing tail-gating by those without credentials. • Highly customizable in finishes such as pure satin stainless or fine wood cabinetry. • Integrates with all standard access control equipment. • Illuminated visual colour indicators/icons. Our turnstiles, regardless of application, are designed to exceed expectations for years of reliable performance.